In this episode of the Talking Sound Podcast host Christopher Jordan is joined by friend and musician Eric Bettencourt to discuss the experience of moving to Austin from a musician’s perspective as well as his upcoming album Bric-A-Brac. What is it about the Austin music scene that draws musicians from across the world? Why would a musician like Eric, who was well entrenched in the local music scene within his home state of Maine, uproot himself in order to move across the country to a start ... Maggiori informazioni all over again? What has Eric’s experience been like since moving to Austin and has it been a good one? How has Eric’s involvement in Austin music over the last many years changed him as an artist? As a singer/songwriter what are some the influences that Eric uses when writing music? Is there actually a magic formula to writing music and songs? What can we expect from Eric’s upcoming album Bric-A-Brac? Join the Talking Sound Podcast as we welcome Eric Bettencourt to the studio to discuss these questions and more. 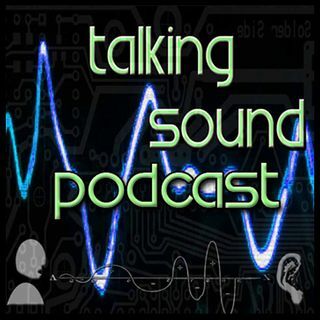 The Talking Sound Podcast is a proud member of the HC Universal Network family of podcasts. Download the official app for the HC Universal Network family of podcasts available for Android and coming soon for iDevices to get all the great stuff from the Talking Sound Podcast and More!